This paper takes dynamics analysis on the piston and the dynamic lubrication theory on the skirt and the ring of piston as the basis. Using AVL Glide software, through the establishment of the analysis model of the piston secondary movements, this study focuses on the effects of the crankshaft bias on piston secondary movements’ characteristics. 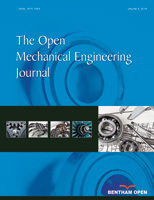 This paper takes 5 different offsets, by comparing the piston lateral displacement, transverse movement speed, transverse acceleration, swinging angle, swing angular velocity and angular acceleration, finds out the relationships between crank offset value and the piston “slap”, piston impact energy and piston skirt friction loss, thus, provides the basis for the design of internal combustion engines.